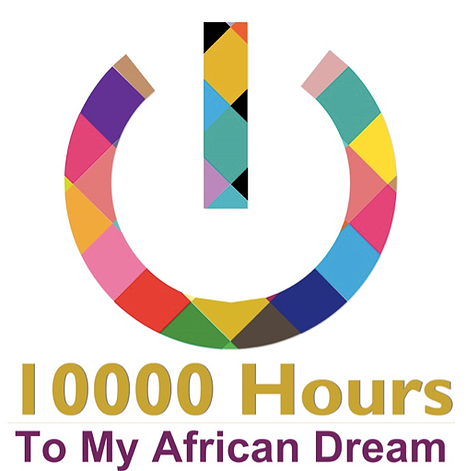 The story behind ‘10 000 hours to my African Dream’ is an unwonted one. Honestly, I had no intention of starting a movement. I simply wanted to to share, collaborate and debate with a diverse group of people on entrepreneurial topics. A blog appealed to me because it allowed me to connect with an audience unlimited by geography or demographics. However, before I began the blog, a few coincidental eye-openers made me rethink my efforts. The first was an isolated curiosity. In the first quarter of this year, I asked a few of my friends what they would describe as ‘The African Dream’. I was keen to establish if something like it actually existed. My curiosity stemmed from jealously of American patriotism. They are so proud of who they are and their history. And their patriotism is constantly reinforced by the narrative of the ‘American Dream.’ So, with typical last-born syndrome, I asked: “Why can’t we have some of that? !” That’s when ‘The African Dream’ concept was born. The second eye-opener was an educated curiosity. It happened while on a trip with my family in the second quarter of the year. During the trip I read Malcom Gladwell’s Outliers. In the book, Gladwell describes the ‘10 000-hour rule”; to truly achieve mastery and excellence in your field, 10 000 hours of consistent, relevant and focussed work in that field is required. The infinite possibilities of this concept consumed me. I deduced that any person, equipped with the correct tools, is only 10 000 hours from achieving anything they want. Excellence seemed predictable. While reading the book in Istanbul, I witnessed the most extraordinary display of salesmanship and whole-hearted customer-centric service I have ever seen. What really electrified me was the Turkish institutionalisation of an intoxicating business and entrepreneurship culture: from small family owned businesses to large-scale corporates. An entrepreneurial trait seemed to be a prerequisite to their way of business; it seemed engraved in their DNA, emerging from deep in their guts when they engaged with people about their products or services. It was a norm, not an exception, for the businessmen and businesswomen of Turkey to have incredible attitudes, strong skill sets and genuine pride in who they are and what they do. I decided Africans can learn from the Turkish when it comes to business acumen and attitudes. Turkey has produced merchants, traders and businessmen for thousands of years. It could be that a few generations became the “masters” of business and passed their myriad of skills, philosophies and values down to other generations. Or it could be that living Turks had reached their 10 000 hours themselves. So, how is it that the Turks can be so excellent? Surely, Africans can be just as good if not better. What are us Africans lacking? An epidemic of excellence was my first answer, thinking back to Gladwell’s material. And if excellence happens after 10 000 hours, then any African is only 10 000 hours away from it. This awareness shifted my paradigm and clarified my goals and urgency about my blog. I was fired up about the practicality of these 10 000 hours and thus they became a template game-plan to achieve any African dream, in any field. And so, I gave into the belief and spirit of the now plausible African dream. The only thing left to do once you realise this is to set your timer to 10 000 and push start. Thembani is a 2010 BYM Alumnus and currently supports the Board and Managing Director of T-Systems South Africa. He is also one of 40 speakers sharing his intrapreneurial and entrepreneurial story at the Levi’s Pioneer Nation Festival on 25 September.